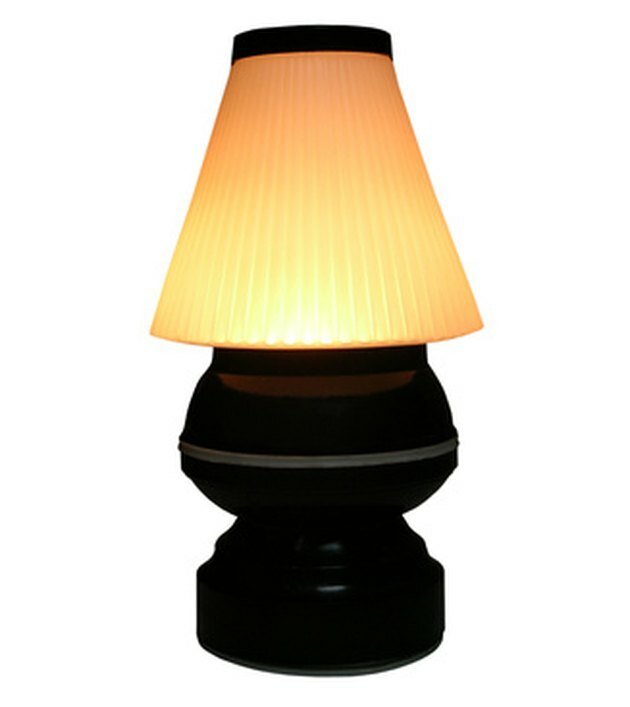 Have a favorite lamp but don't have an outlet to put it in? This doesn't need to be a problem. Using some common household tools, a lamp's outlet wire can be removed and replaced with a rechargeable battery. 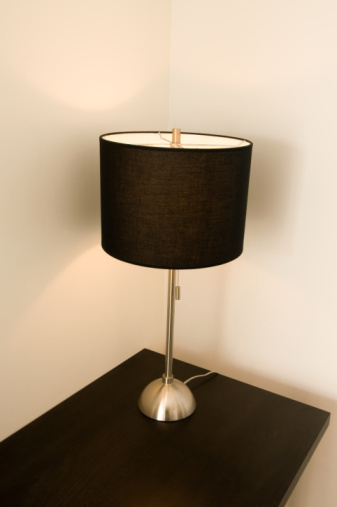 By attaching a battery to your lamp, you will be able to illuminate any room that you choose without experiencing any loss in your lamps lighting quality. Any lamp can be converted to battery power with just a few basic changes. Turn the lamp upside down and locate its wire. If you cannot trace the wire to the point where it meets the lamp's electrical unit, carefully pull the lamp out of its decorative housing to expose the electrical unit. Gently disconnect the wire from the lamp's electrical unit. Usually this can be done by hand, although it sometimes requires a small screwdriver. Purchase a 6-volt rechargeable Lantern battery (see Resources) with an AC/DC wire attached. Use a screwdriver to gently pry open the lamp's electrical unit. Locate the point where the original wire connected to the wiring inside of the unit. There should be two small copper wires. Use a wire cutter to strip about a half inch of rubber off of the tips of the battery's two wires. Connect the wire in the lamp labeled with a plus sign to the battery wire labeled with a plus sign by twisting the two wires together. Connect the wires labeled with a minus sign to each other as well. Wrap electrical tape around any exposed wire. Replace the lamp's decorative frame if you removed it. If possible, fit the battery inside the hollowed out region of the lamp's frame. If it doesn't fit, the battery will still function but it will be visible. Carl O'Donnell began writing in 2008 and has been published in "The Temple News" and on various websites. He is an intern at "Origivation Magazine" and attending Temple University where he is double majoring in English and journalism.